Minnie Mouse and Goofy open Disney's Animal Kingdom back in December, 2006. That’s what a fan(atic) says when s/he is traveling to a Disney Themepark in reference to Mickey Mouse. Walt Disney, himself, was always reminding people that it all started with Mickey. In this case, I am going to be spending the next week with over a 1,000 other fans at Walt Disney World in what has become Mousefest. It is my hope I will find enough time to do next Monday’s blog from there. I probably will be too busy and tired to do much, if any, commenting. You all behave yourselves until I return. 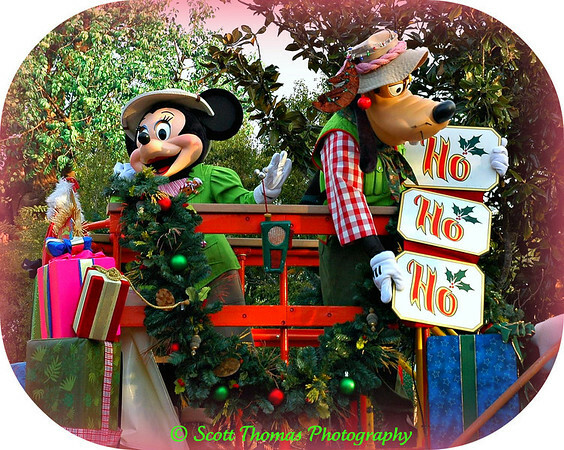 This entry was posted in Travel and tagged disney, florida, goofy, minnie mouse, mousefest, orlando, walt disney world. Bookmark the permalink. Have a GREAT time!!! I’m still bummed that my kids dragged me to Legoland instead of Disneyland! You’re in Florida. Yahoo! Have a great time in the Magic Kingdom and then give us peeks at that mystical world through your blog. We can’t wait!